Are you searching for a healthy weight-loss program that helps you adopt a healthy and active lifestyle? I want to share with you here my personal results with the Herbalife products, how they helped me create a completely new, healthy lifestyle AND how I have maintained my results for over three years sticking to the program! Have you heard of the fantastic results and stories from others who have gotten lasting weight-loss results from using the Herbalife products along with a healthy nutrition program? That’s because of the fantastic products that the company provides and the personalized support each distributor offers you along your journey to a new and healthier you! Herbalife is a nutritional company that was founded in 1980 by Mark Hughes. The company offers many different products and supplements that all are geared to fueling your body for better health and longevity. Their product line includes meal replacement shakes, herbal teas, aloe vera, fiber, vitamins, heart health supplements, pre and post workout shakes and even a full skin care line to protect and maintain a bright and healthy complexion. Any nutritional product or supplement you are searching for Herbalife can provide a quality solution to your problem. The companies products helps hundreds of thousands of people each year lose weight, gain muscle, tone up, boost their energy levels or just adopting an overall healthier lifestyle incorporating the products into a healthy meal plan. The company offers their products in 90+ countries which makes it super accessible for you to begin your program no matter where you live in the world. Herbalife is a global brand with a mission to spread a healthier and more active lifestyle across the world, making a positive impact through proper nutrition! Like I stated above, it is a nutritional company that offers products to improve or maintain almost any problem you may have with losing weight, improving your fitness performance, helping your body absorb nutrients more effectively or even improve the health of your heart and cardiovascular system. The question now is, where are you able to receive products you want and how does Herbalife work? Herbalife products are different from many other supplements in that you can NOT purchase them from retail stores or storefronts. They are not sold in places like Walmart, GNC or Whole Foods. Herbalife products are shared from individuals who have used the products themselves, gotten real results they are proud of and chosen to distribute to others because of their passion and excitement about the positive effects that are possible with using the products. Here’s an example that is easy to understand: A friend of yours see’s a movie and really loves it. It may be his or her favorite movie of all time. What are they most likely to do? They of course are going to talk about it and share it with you because of their love for that particular film; they want you to see it also in hope that you will love it as much as they did! The example above is the exact same way Herbalife products are sold and distributed; by people who love the products because they have used them and had amazing results themselves and believe they can also help other friends or family reap the benefits! So if you want to begin a nutritional program incorporating Herbalife formula 1 nutritional shakes, you must find an Herbalife Health Coach who wants to help you reach the goal you have in mind by providing you the ability to purchase the products but as well giving you personalized coaching: a full meal plan, how to use the products, healthy meal and snack options and daily support to help you with motivation along your journey! Kelli and Jake provide you with the support and accountability you need to start and finish a complete Herbalife weight-loss program! We have both had results and are passionate about these products and the results they provide along with a healthy lifestyle! Fill out the form on our coaching page to get started with us! The picture above shows it all! The results, weight-loss, toning up and most importantly the huge increase in self-confidence and self-esteem over these past few years. In 2013, Jake (About Us) introduced me to a new way to create a healthy lifestyle for myself and create the kind of healthy eating habits I had been looking for. At this point I had gained 30 lbs or so throughout my college career but my frustration came from trying diet after diet and never getting lasting results. Up to that point it had seemed that whatever I had tried to lose weight and feel healthy again just didn’t work out for me. But it all changed when Jake introduced me to Herbalife Nutrition Products because along with the products I was able to get step-by-step help from Jake on how to implement them, a personalized meal plan that fit exactly into my schedule and the results I wanted to get AND constant follow-up and help from him whenever I was confused or even needed some encouragement and motivation towards reaching my weight-loss goals! I was able to lose 20 lbs and feel absolutely INCREDIBLE! New found energy, a healthy lifestyle and products I could use each and every day to continue to maintain my results while still providing my body with the nutrition I needed! The most helpful and amazing concept about the Herbalife Products and Health Coaching system is that no matter how little you may know about nutrition and living healthy, you are able to learn from someone who has actually gotten their own results using the products! Encouragement and support from a person dedicated to your ultimate success which is just what I found in my Herbalife weight-loss journey! Now each and every day Jake and I choose to add new products into our daily nutritional regimen and choose to provide the best service we can as Herbalife Health Coaches to provide our clients with the most education and support they need in reaching their healthy and active lifestyle goals! We are able to live out our passion every day and help spread proper nutrition habits and healthy lifestyle knowledge around the globe using these products and home business opportunity! If you want to see more Herbalife weight-loss results and success stories, click HERE..
You know my story and how this company work and what we provide as online health and nutrition coaches! The product we use every day! A full, healthy meal replacement shake that contains 170-200 calories, 17-21 grams of protein, 21 vitamins and minerals and all the nutritional support you need from a balanced meal. Comes in 10+ flavors and is super easy to prepare. By far the best meal replacement shake you will find! 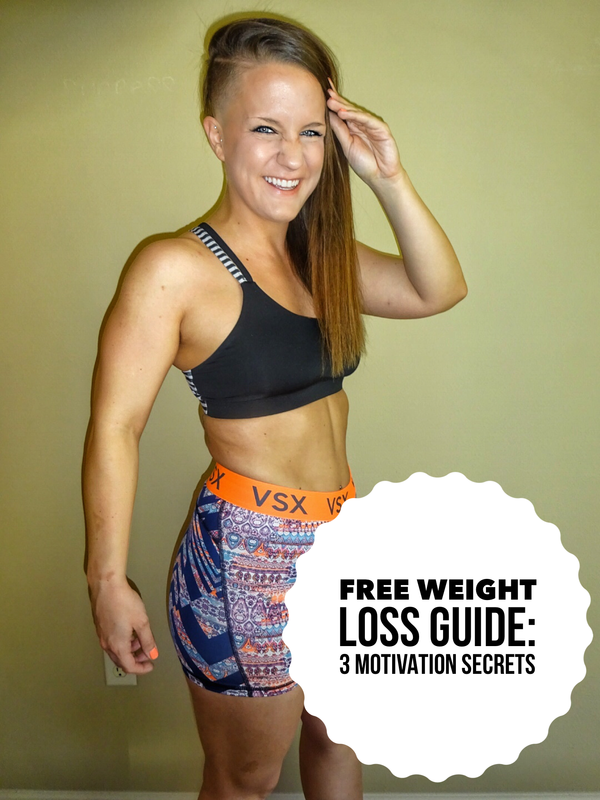 The main product that helped me along my weight-loss journey! We have 2 shakes each and every day for nutritional support AND weight management! My favorite drink every single morning. Great replacement for coffee. Tea in powder form that you can mix with 8 ounces of hot or cold water. Helps you burn 100 calories at rest with each serving, has caffeine for a natural energy boost AND provides anti-oxidant support! Each morning I have a serving of the tea with my shake and it works to help boost my metabolism and burn fat to begin the day! Aloe Vera in liquid form that I mix with every Tea I have and sometimes mix it into my water. Helps soothe my stomach, helps relieve occasional indigestion AND helps improve my nutrient absorption. Great product to help relieve and improve your digestive system and help your regularity! Quickstart Program– The exact program I started out on that led me to losing 20 lbs! Great way to begin your new lifestyle habits. Includes a month’s supply of Formula 1 nutritional shake mix, herbal tea concentrate AND formula 2 multivitamin complex and formula 3 cell activator. The benefit of this program is it is the cheapest program to get started with but provides all the essentials of nutrition you need along with your personal health coach! Advanced Program– The next level up in Herbalife weight-loss programs includes everything the quick start has but in addition you receive Total Control tablets (tea extract for increased energy, alertness and metabolic boost) AND cell-u-loss tablets which help with fluid balance and water absorption. Ultimate Program– Includes everything that is available in the advanced program as well as snack defense that helps maintain healthy blood sugar levels and aminogen tablets that help with protein absorption. Lean And Fit Program- The main program we offer to our clients who want to lose weight and tone up! Includes a month’s supply of products that include 2 flavors of the Formula 1 Healthy Meal, 60 servings of our Protein Drink Mix for extra protein to support development of lean muscle mass and Total Control tablets to help boost metabolism and energy! All of these programs along with a personal coach can help you get from where you are to where you want to be in terms of your health and wellness. I usually refer to the Quickstart as fast, Advanced as faster and Ultimate as fastest. This just means that the more herbalife products you add to your nutrition program the faster you will get to your goal! The whole point with a meal plan that we provide is to understand your specific goals, what you need to eat, how much protein you require and how to properly use the products around your current schedule. As Herbalife wellness coaches we want to help you work out a nutrition program that seems realistic yet challenging at the same time so you can learn what it takes to develop healthy habits and maintain your results. That’s where the products come in. The meal replacement shakes, herbal tea and the aloe make it SO easy for you to get two healthy meals in each day along with metabolic and digestive support to help burn calories, support your digestive system and burn fat more effectively! **Lose Weight And Get Started Now With Your Herbalife Nutrition Program.. Fill Out Your Info Below And We Will Contact Your To Personalize A Program For You TODAY! Now I want to walk you step-by-step on how to order your Herbalife products online and get started with us as your personal health coaches! First, click HERE to go to our product page..
Next, at the top of the page click the blue button ‘Register To Shop’..
Once you are on the next page, fill out your information in order to see prices and fully shop around our product website..
Now that you have an account and log-in you will be able to see prices and shop freely on the site. To navigate to the nutritional products and weight-loss programs, click the ‘Shop Categories’ tab on the left side..
From there you are all ready to go! If you have any questions on what program are right for you, contact us on our coaching page and we will be in contact through email or text to guide you through the process. Jake and I can not wait to work with you 1-on-1 to provide you with the support and accountability you need to make Herbalife work for you! Before we get into specifics on how you can become an Herbalife health coach and join our team, I would like to give you some prior requisites so as to make your experience as a coach a successful one! First you must realize that the ONE most important variable to your success as a Herbalife Health and Wellness Coach is your commitment to use the products EVERY day, obtain a weight-loss or health result you are proud and excited about and share it with others who could benefit from these products (almost everyone could benefit in some way!). There are absolutely NO guarantees from us or the company on any success you may or may not have. It all has to do with your commitment and love of these products and listen to our guidance on how to implement them into a lifelong habit of daily consumption that fuels and support a healthy and active lifestyle! The very first step you must take into becoming a successful Herbalife Distributor and Health Coach is starting on your very own program and get your first heal result! Don’t worry, we will walk you through what products and program is right for you, figure out your overall health goal and help you along the way to get there. Getting your first health results (losing weight, gaining energy, gaining muscle, feeling better) is the first step towards becoming a coach on our team. You must have a result you can share with others! Fill out the form below and tell us what your goals are and why you want to become a health and wellness coach! After we help you get your first results and get used to using the products daily we will then go through with you how to sign-up as an Herbalife distributor, join our team and get to work on our specific plan you can take to work your business part-time and begin to make some extra money sharing the products with your friends, family or co-workers. We look forward to connecting with you and learning more about your goals and dreams! We are extremely passionate about what we do as health and wellness coaches and the opportunity Herbalife has given us to create a business around our passion is amazing and we are forever grateful! To finish up here on my journey with Herbalife and all that these products have provided me I just can’t help but realize how grateful I am to have been touched by this opportunity and what it has done for Jake and I’s life! 4 years ago before we met (About Us) I was overweight, un-healthy and not fulfilled at all in college and no idea what I wanted to do for my future. Everything seemed so bleak until Herbalife nutrition found me through Jake. Now after losing 20 lbs and having incredible energy all day (Herbalife Success Stories) I am excited and enthusiastic each and every day to get up every morning next to Jake and live out our passion of helping people around the world live a healthy, active lifestyle using the Herbalife products AND getting to build our own business from home and enjoy the time freedom to do what we want when we want! It’s just incredible for Jake and I to look back and see where we have come in these last 4 years, but it always comes back to the opportunity of Herbalife Nutrition coming into our lives and completely shifting the direction of both of our existences (Jake lost 10% body fat). I hope you are ready NOW to make the decision and begin to use these wonderful nutrition products and reap the benefits they offer. No matter what goal you have and how many times you have failed with diets, we are confident enough to say that if you commit to your results and follow our coaching, you CAN and WILL reach your desired health! Anything is possible and we want to be there to help you make it happen! Previous What Is The Role Of Healthy Digestion In Weight-Loss?